Dubai – Weathermen issued a flash flood alert on Saturday due to heavy rains reported in several parts of the country. Residents in Ras Al Khaimah also reported hail. 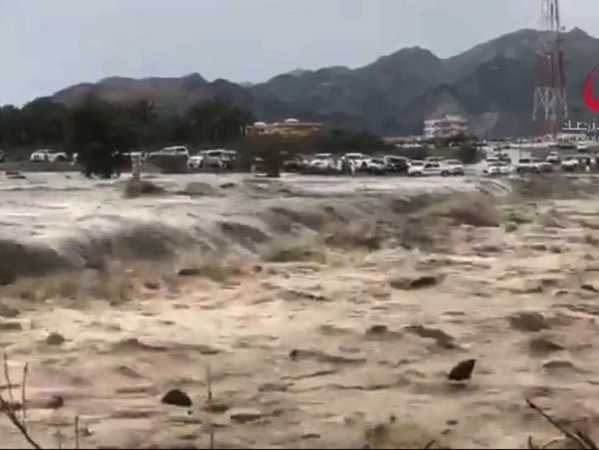 The local emergency and crisis management team in Ras Al Khaimah warned sea-goers about big waves. Meanwhile, weathermen warned that roads in some valleys may be dangerous due to the risk of flash floods. The Center for Public Health of the Ministry of Health of Ukraine reported an additional 2,250 measles cases the week ending Apr. 4, bringing the 2019 outbreak total to 37,328. The number of fatalities due to the complications of measles remain at 14. Health officials in French Polynesia are reporting (computer translated) the confirmation of several autochthonous cases of dengue type 2 dengue, unrelated and scattered over several communes in Tahiti. This has prompted health officials to declare an outbreak on Wednesday. A major concern is that since dengue type 2 has not circulated in the country since the year 2000, the epidemic could be of great magnitude. People under 20 or arriving in French Polynesia after 2000 are most at risk of becoming infected.